Update: We moved in 2017. Based on updated product selection and performance, we decided to go with garage floor tiles in our new home. We are absolutely thrilled with them. My current favorites are the HD Extreme. As an industry professional of over a decade, and, with nearly two and a half decades of experience in the home improvement industry and one of the owners of this company, I think it goes without saying that I had a lot of choices as to what I put in my garage. Several vendors would have been thrilled to offer their product and I certainly could have installed the G-Floor product of my choice. 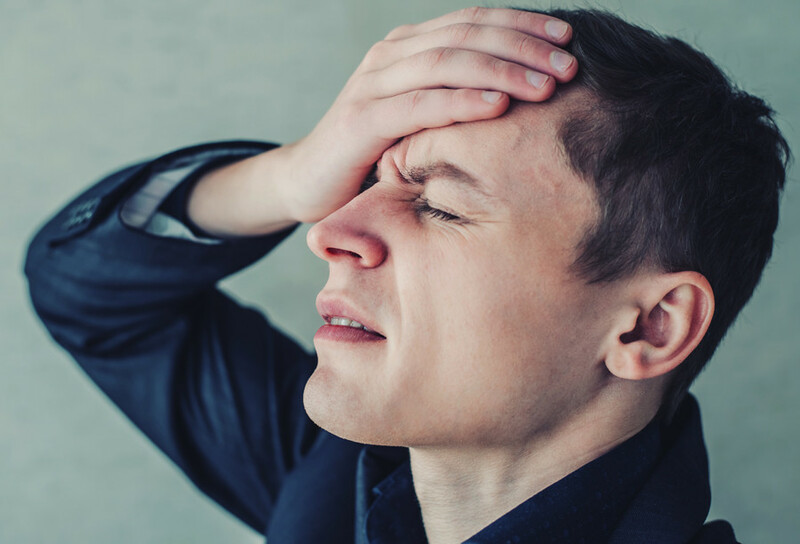 Here are the reasons I, to the surprise of many, chose a value oriented, American Made product called G-Floor Small coin –and why I would never go back to another pattern again. Value: At 60 Mil base thickness with most of the floor being covered with the coins –and therefore significantly thicker—my experience has been that the small coin costs less than the other coin and diamond products we sell but performs as well if not better. Traction: I am sure I have repeated this over and over (and over and over and over) again, but the combination of ‘foot on floor’ surface area and the grip-it texture give the small coin garage floor mats a distinct advantage over our original coin and an absolute advantage over our diamond garage floor mats. Rolling Around: I am going to add some video to demonstrate this, but the G-Floor small coin garage floor mats offer little if any resistance to creeper and toolbox wheels. The secret is the size of the coins and their proximity to each other. Most wheels will go from ‘top of coin’ to ‘top of coin’ never impacting on the base. This means there is no ‘thud’ as you roll a creeper or toolbox across the floor. 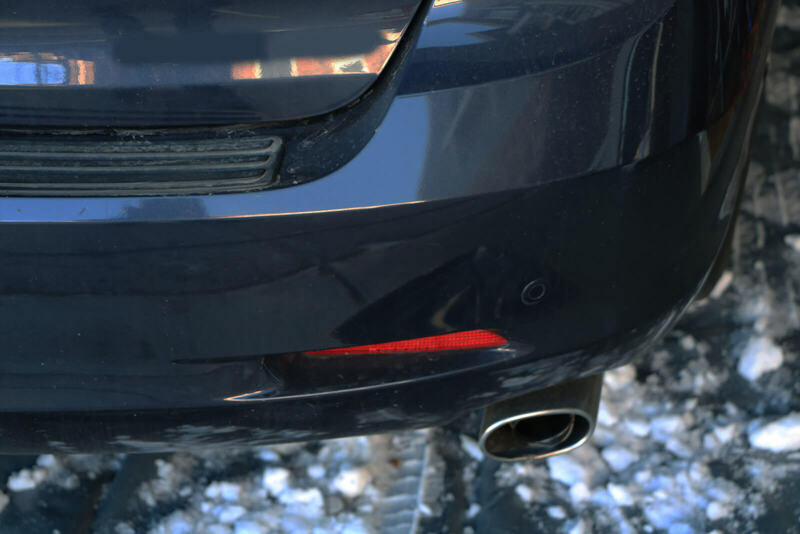 Appearance: The small coins hide installation imperfections and work well in both small and large garages. From standing height we found it hard to tell if the coins were not-so-perfectly aligned. Roll Size to Floor: The 8.5 x 24 and 10×24 can be combined to fit the vast majority of garages –including my odd-shaped garage. 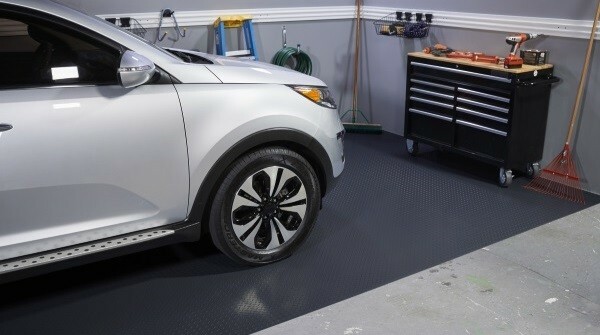 Ease of Installation: As with all G-Floor garage floor mats the G-Floor coin garage mats are incredibly easy to install. From the seams, to cutting around posts and stairs the product is ridiculously easy to work with. That’s not to say that some areas did not take a little time, but from a technical stand point it was a piece of cake and required only tools that most of us keep around the house –although I did spend $30 on a long straight edge and it was worth every penny. Price Point: The product is priced about the same as the Chinese imports but it is an American Made product from Better Life Technology. No cheap fillers. Colored all the way through and stored flat until you place your order. 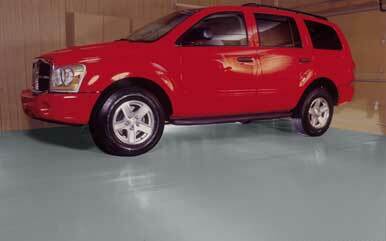 G-Floor small coin is perhaps the most perfectly priced garage flooring on the market. It’s not a cheap garage floor but it is considerably less expensive than the high-end garage floors. Durability and Flexibility: Get a sample, grab your hammer and smack it as hard as you can. 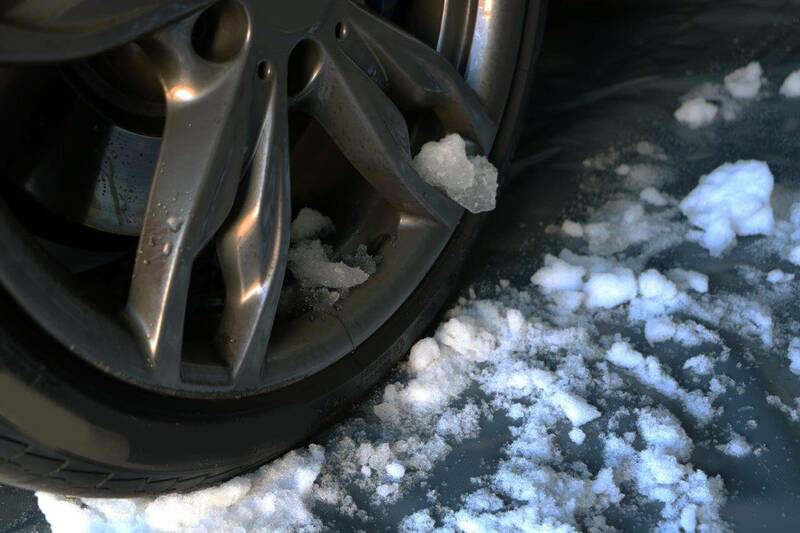 Now go back and try that with a plastic garage floor tile –some will hold up better than others. 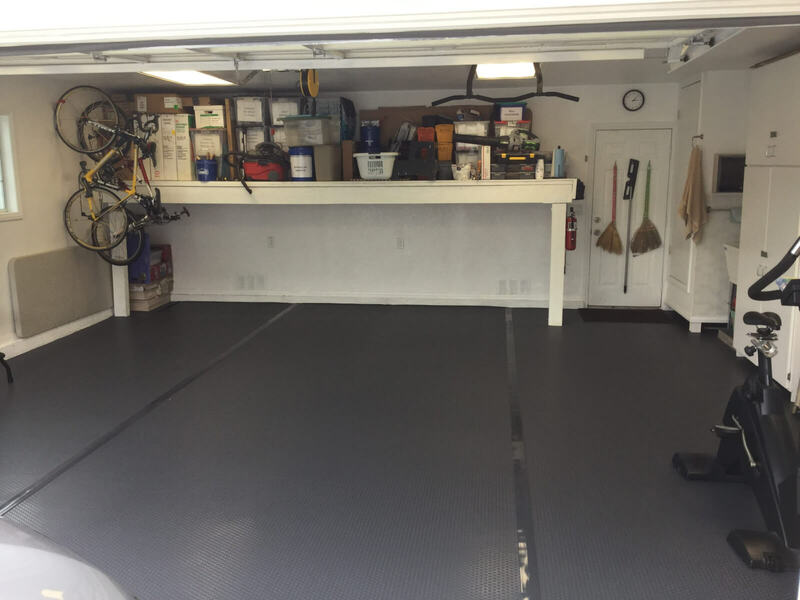 In our 8 person, two large vehicle home where the garage is used for table saws, jacks, basketballs, cars, bikes and everything else you can imagine there is simply put not a better roll out garage flooring option on the market. We certainly have more expensive ones and we certainly have products we make more money on, but for an all-around garage floor, in most cases I cannot in good conscience recommend a different product. I will put some exceptions below. The company behind it: G-Floor was the first brand of garage flooring I ever sold. To this day we still sell about as much G-Floor as we do everything else combined. They have always stood by us and stood by their product. The bottom line is: it’s everything in lines 1-9. 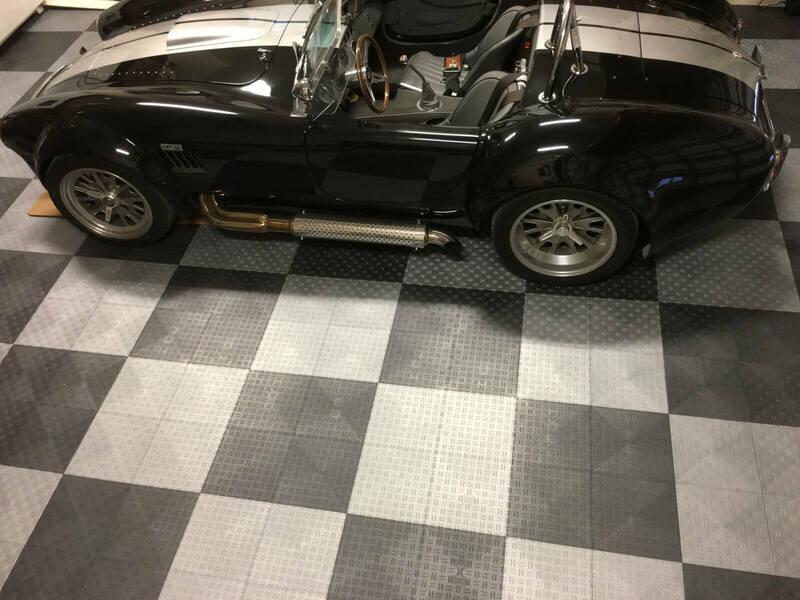 We offer many products that offer more of the items listed above than any import ever could; But the G-Floor small coin garage floor mat was the only product we sell that I felt was the perfect universal flooring. Quality, price, durability, flexibility, name brand, speed and service in one package. Some anecdotal information… I would use the seam tape everywhere except if I have a lot of shelving or heavy items in one place I would use the center strip and an expansion joint. I would absolutely NEVER install G-Floor and not use either Hilway Direct or the G-Floor stain blocker. The ‘hook’ blades are so much easier to cut with than the standard blades and a long straight edge is priceless. If you don’t have something you can use I would definitely pay the $30-$50 it’s going to cost you to purchase one. 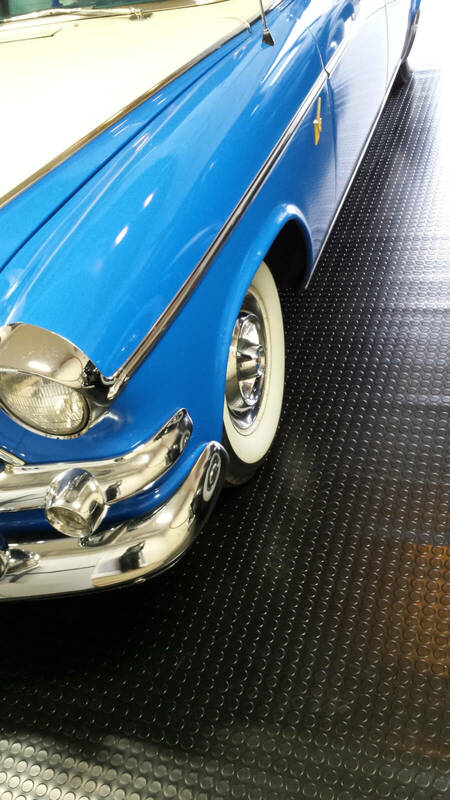 There are occasions where someone simply prefers the aesthetics of the original diamond or original coin garage floor mat and that is completely fine. 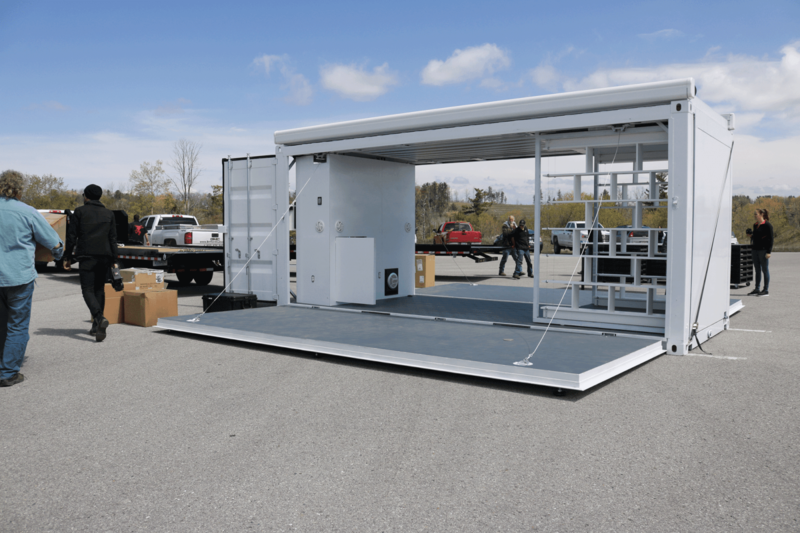 Also if you are doing a parking pad or even a wall to wall installation for the purpose of containing liquids and debris the ribbed product may be a better fit in that specific case. Lastly there are situations where due to the limited size and color availability one of the other products simply fits better. 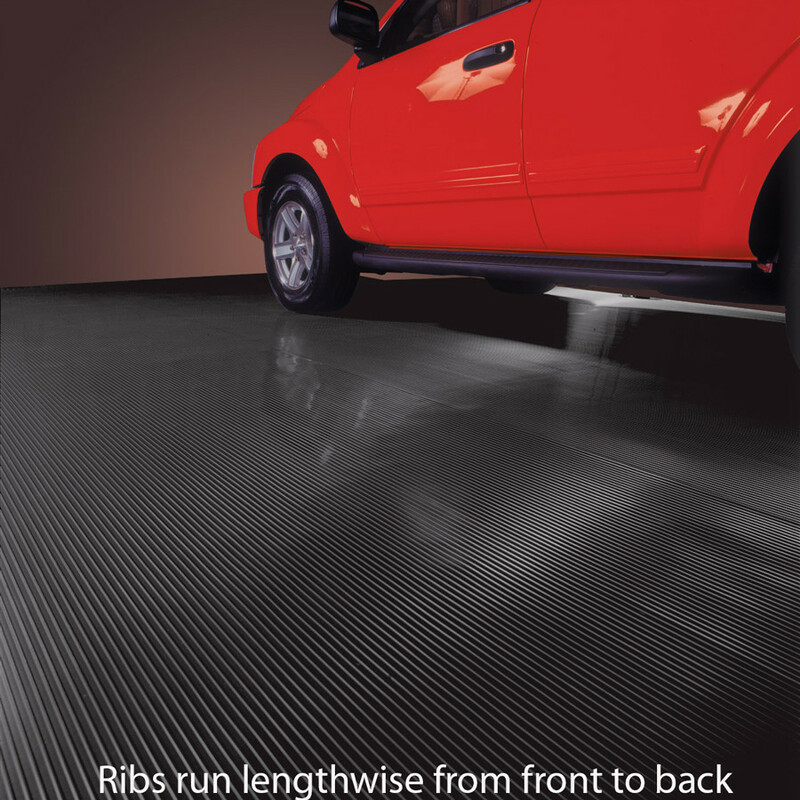 Obviously there are a host of other garage flooring products that we carry. This article is pertaining specifically to roll out garage flooring. There are some great quality garage floor tiles that I would use in a future installation in a heartbeat. Its like everything else, you have to look at what you are going to do with the product and what appearance you want, before you make a decision.